LOCATION: The name for this biome, temperate grasslands, is a great description for what it is like here. The most important plants in this biome are grasses! Temperate grasslands have some of the darkest, richest soils in the world (not in wealth, but in nutrients). People who live in grassland regions often use these soils for farming. In North America we call temperate grasslands prairies. Major grasslands in North America are the Great Plains of the Midwest, The Palouse Prairie of eastern Washington State, and other grasslands in the southwest. In Eurasia temperate grasslands are known as steppes and they are found between the Ukraine and Russia. In South America they are called pampas, and are located in Argentina and Uruguay. In South Africa temperate grasslands are known as veldts. WEATHER: Temperatures in this biome vary greatly between summer and winter. The summers are hot and the winters are cold - much colder than Santa Barbara! With cold winters, it’s surprising how hot the grassland summers can get! Sometimes the temperature is more than 100°F (37.8°C). Rain in the temperate grasslands usually occurs in the late spring and early summer. The yearly average is about 20 - 35 inches (55 - 95 cm), but much of this falls as snow in the winter. Fire is not foreign in temperate grasslands. They are often set by lightning or human activity. Fire regularly swept the plains in earlier times, and to some extent still does today. 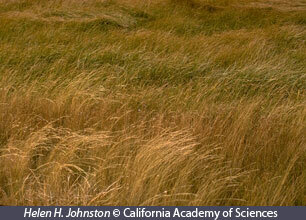 PLANTS: Grasses dominate temperate grasslands. Trees and large shrubs are rarely found in grassland areas. There are many species of grasses that live in this biome, including, purple needlegrass, wild oats, foxtail, ryegrass, and buffalo grass. Many animals munch on these grasses, but they survive because the growth point on the grasses is very close to the ground. Also, with underground stems and buds, grasses are not easily destroyed by fire. Shrubs and trees that live in temperate grasslands are not as good as grasses at coping with the flames, and often are destroyed by fire. Wildflowers also grow well in temperate grasslands. Popular flowers that you might find growing on grasslands are asters, blazing stars, goldenrods, sunflowers, clovers, and wild indigos. ANIMALS: All grasslands share a lack of shelter from predators, and an abundance of grass for food; therefore, grassland animal populations are similar throughout the world. 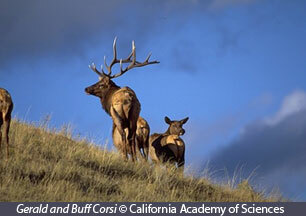 The dominant vertebrates in grasslands are herbivorous or plant-eating grazers called ungulates. Ungulates are mammals with hoofs, like horses and deer. Their long legs help them run fast to escape grassland predators. The temperate grassland does not have much animal diversity, especially compared to the Savannah. Some animals that inhabit temperate grasslands in North America are bison, antelope, birds, gophers, prairie dogs, coyotes, and insects. 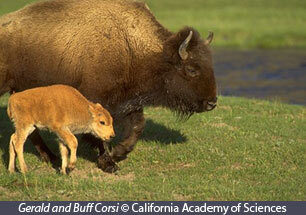 On the steppes you’ll find similar animals to the Great Plains including lynx, antelopes, falcons, and fox. PEOPLE AND THE TEMPERATE GRASSLAND: One of the main environmental concerns regarding temperate grasslands is the conversion of grassland to farmland. The rich soil is ideal for farming and grazing. With continual agricultural development and progress we have lost many of our natural grasslands. Instead of native grasses, now grasslands supply corn, wheat, and other grains, as well as grazing areas for domestic ungulates, such as sheep and cattle. The food supplied by farmlands is important, but so is this unique biome, and the plants and animals that live in the temperate grassland.